The Meat Mod is a fairly simple and straight forward mod released by the developer SimaderEntertainment. This developer has produced mods before, and most of them are of a high quality. The Meat Mod, although small, is packed full of features that allows the player to experiment. This mod is also available for both Minecraft single player and multiplayer, so you can enjoy its features with your friends also. There is no real way to use the Meat Mod you first of all need to download it with Minecraft Forge and then you can load up your latest save game. When loading all of the mods features should be automatically enabled. 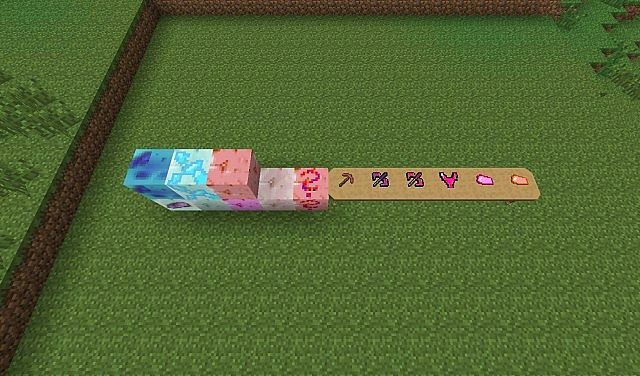 This mod allows you to eat meat blocks in order to heal yourself! Discover cool rituals from the god of meat! 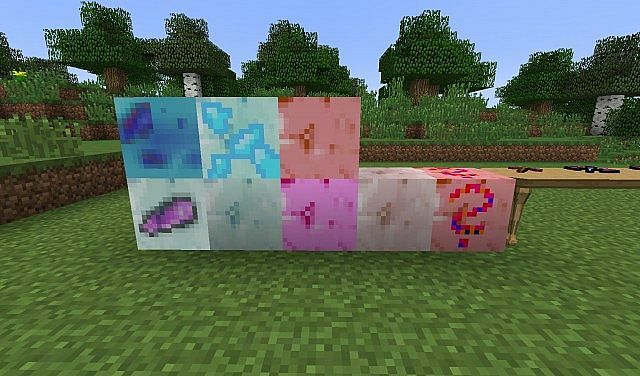 Compress Mea-ores into diamonds ore make MeatBlocks out of them!! Create very powerful tools that can mine every block faster than diamond can! Next, download the Meat Mod and drag and drop it into the .minecraft/mods folder of your Minecraft directory. There are currently no public changelogs for the Meat Mod.